With over 100 years of combined experience in medical billing and EMS management, no other company can offer the level of expertise that Evolution can. With highly trained specialists in all areas of medical billing, Evolution provides an exceptional solution for all of your agency's EMS ambulance billing needs. Evolution provides custom tailored services designed to maximize revenue recovery for even the most budget conscious EMS providers. Looking for a condensed rundown of Evolution's services? Need to make a propsal or comparison? Download our white papers in PDF format below. Click here to download the Evolution Fact Sheet. Click here to download the Zoll RescueNet© Fact Sheet. 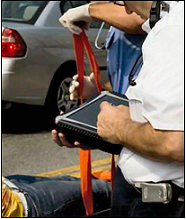 Click here to download the Zoll RescueNet© White Paper.